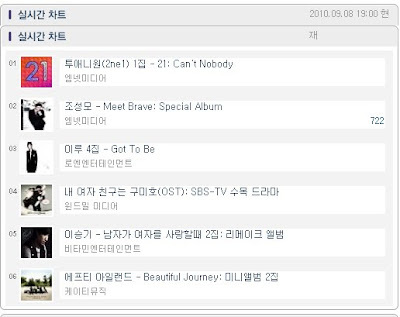 [NEWS] 2NE1's "To Anyone" Album Pre-order Tops Hanteo Real-time Album Sales Chart! We have few hours left before D-Day of the release of 2NE1's first full-length album "To Anyone" as well as the music video for "Clap Your Hand". YG Entertainment has been releasing teasers or previews of 2NE1's upcoming title-tracks, not one, not two, but three songs to be promoted at the same time! 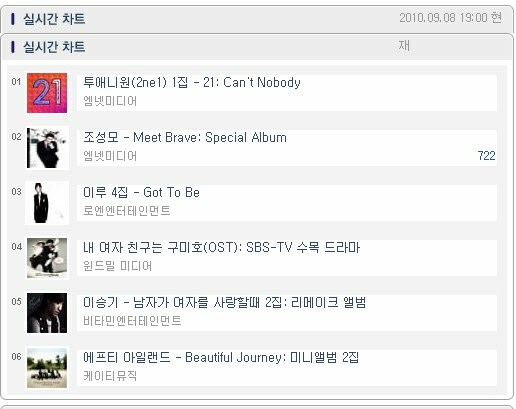 As of 7pm (KST) today, according to Hanteo.com, 2NE1's upcoming full length album "To Anyone" album pre-order has topped their real-time album sales charts. This shows great amount of interests from fans towards their comeback this week. As of yesterday, 2NE1's first album pre-order has already mark 120,000+ copies which already surpassed their previous record. 2NE1 will be releasing their first full-length album "To Anyone" tomorrow, 9th September 2010 both online and offline. On the same day, a music video for "Clap Your Hand" will be released. The following days, music videos for "Go Away" and "Can't Nobody" will be released on the 10th and 11th respectively. Finally on the 12th, 2NE1 will be having their first comeback stage performance performing three songs through Inkigayo (SBS). The girls will actively promote their album through various music shows in the following weeks. Please anticipate their comeback this week!